Football can be a cruel mistress but for these players, things probably turned out alright in the end. 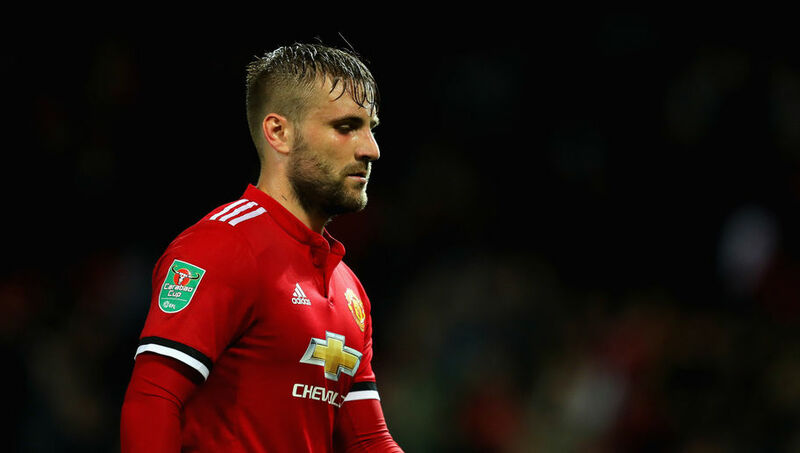 Despite not quite making the desired impact at Manchester United considering his record-breaking transfer back in 2014, things could have been very different for Luke Shaw. The left-back almost joined Chelsea after playing with their development academy, but he wasn’t offered a place and ended up joining Southampton as a eight-year-old. Could you picture Mario Balotelli in the famous Catalan blue and red? It’s an image that’s almost hard to even imagine, but the reality was oh so real. As a 16-year-old, Mario had a trial with the Spanish giants and things went better than expected. Before establishing himself as one of the most fearsome (and aggressive) strikers in world football, Diego Costa almost didn’t make it in the game. In Brazil, the Atletico Madrid striker played on the streets and didn’t receive any kind of formal coaching until the age of 15, at which point he was offered to a host of clubs in his homeland. He was rejected by all of them, including Corinthians, Palmeiras and Santos before heading to Europe where he joined Braga and kick started his career before joining Atletico. Man City are a daunting enough proposition for opponents these days without Marcus Rashford, so can you imagine if the Citizens had the United whizzkid in their ranks? It was almost the case as the Mancunian had a trial with the blue side of the city at the age of nine. Everyone by now has seen the pictures of a young Harry Kane donning the red and white of Tottenham’s arch-rivals Arsenal (and if you haven’t, time to come out from under the rock you’ve been living under). Thankfully for Spurs fans, that stage of his life is long gone but he almost wasn’t one of their own. You’re not reading that wrong at all. That does indeed say that the one time Ballon d’Or winner did in fact nearly join Scottish minnows St Mirren. But how? Back in 2001, the Brazilian maestro had a deal already agreed for him to move to Paris Saint-Germain from Gremio in the summer, but was looking for a short-term move to Europe before that deal came into place so that he could acclimatise. Then-manager Tom Hendrie claimed that everything was in place for the move, and that it would’ve gone ahead if it wasn’t for a legal problem with Gremio putting the move off at the last minute. A five-time Serie A winner, a Champions League title, a UEFA Cup winner’s medal, an Olympic silver medal and his shirt number retired by Inter Milan – it’s fair to say that Javier Zanetti won’t be forgotten in the Italian capital anytime soon. Ah Arsenal, another gem slipped through the cracks. This time Yaya Toure, who actually did play for the Gunners before a move failed to materialise. As a 20-year-old back in 2003, Toure played a pre-season friendly for the club against Barnet, but failed to impress as a lanky striker with Wenger calling him ‘completely average’. When people talk about the best strikers to ever play the game, the likes of Pele, Emile Heskey and this man come up. Ronaldo, ‘O Fenômeno’, was one of the most fearsome hitmen on the planet and will forever be remembered accordingly, but his favourite team, Flamengo, weren’t such big fans. The Brazilian tried to get signed by his childhood team, but they turned him down. He joined Cruzeiro instead, hit 44 goals in 47 games for them, moved to PSV Eindhoven at 17 and became the legend he was always destined to be. Back when football wasn’t almost a competition between two men competing to be the best, a little known Argentinian called Lionel Messi was struggling to make it as a footballer. A deficiency which stunted his growth caused Newell’s Old Boys, a club Messi actually was a part of, to decide against investing in the youngster, not willing to pay the $1000 per-month it would cost to provide him with growth hormones.